We’re not the first to remark on the dangers of selective serotonin reuptake inhibitors (SSRIs) in pregnant women, and we won’t be the last. These antidepressants are having untold effects on unborn children, and subsequently their mothers. Worst of all, Big Pharma is aware of it and chooses to look the other way. It’s a “large scale human experiment,” said Dr. Adam Urato, the assistant professor of maternal-fetal medicine at Tufts University School of Medicine. He says drug companies have overstated the benefits of these drugs, while sugarcoating the risks—all in the name of the almighty dollar. “Study after study shows increased rates of newborn complications in those babies who were exposed to SSRIs in-utero,” says Dr. Urato. “The Federal Drug Administration [in the US] and Health Canada have put out warnings specifically regarding this issue.” Still, the drugs remain one of the most popular on the market—for everyone including pregnant women. Not only do these drugs increase the risk of a premature birth, but also miscarriage, and even autism. These facts have been demonstrated again and again. Around 40 studies have linked SSRIs and premature birth. So, why do mothers keep taking them? Because they are told by their doctors that it will lead to a better “pregnancy result”. Doctors (and therefore their patients) are scared that a woman off of antidepressants is a depressed woman, and a depressed woman won’t only have a miserable pregnancy but may also be at a greater risk of suicide, or simply not caring for themselves while carrying their infant. But, as Urato says, “There really is not a shred of evidence to support that.” Still, the belief exists. There are natural and effective ways of treating depression, but it’s understandable that an individual who has been medicating themselves for months and even years would be reluctant to go off of their medication. Depression is scary. And withdrawing from SSRIs can cause even greater symptoms as the body, once again, has to correct the damage that’s been done. Exercise, some type of non-invasive therapy (not likely from a psychiatrist), a proper diet, and other treatments like acupuncture and yoga have shown to be effective at battling depression. Supplementing with vitamin D and omega-3s may also be the solution. Best of all, they come without side effects. For pregnant women, whose emotions may already be “all over the place”, coming off a drug they depend on may be frightening, but staying on the drug should be even scarier. Did you know that roughly 10% of the American population suffers from depression? It isn’t exactly a coincidence, with the FDA approving a wide variety of damaging foods and drugs that many millions of Americans consume each day. The FDA isn’t helping the population with their approval of the dozens of antidepressant medications on the market – it in fact is doing the exact opposite. The beneficial results of antidepressants have been under the spotlight for quite some time in the health world, and the validity of giving them out like candy to patients in need of a quick and easy solution is under question as well; just how useful is medication for depression? At best, the tangible results felt by patients are comparable to sugar pills. That is to say, the medication itself does virtually nothing to improve the mood of the patient directly. 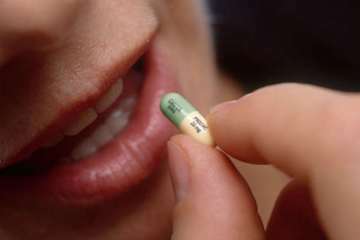 At worst, antidepressants cause decreased mental stability. Wanting to kill yourself or others around you are feelings which antidepressants have been shown to ignite. There is even the possibility that while on these terrible drugs you can become even more vulnerable to more serious mental illnesses – all whilst other legitimate non-medication methods for treating depression are being tread underfoot by the FDA. In more recent studies, there has been surfacing evidence that antidepressants cause arteries to thicken at a faster rate. Research specifically points to an increased thickness of the lining of the carotid artery by up to 5% in men, thereby increasing the risk of heart disease substantially by putting more pressure on the heart. This occurs when taking either selective serotonin re-uptake inhibitors (SSRIs, the primary form of antidepressants), as well as antidepressants that affect other chemicals in the brain. The evidence isn’t completely concrete, but it points towards the change of serotonin in the body caused by the medications. Another study in women who have gone through menopause unveiled that women who take either variation of antidepressants were up to 45% more likely to suffer from life-threatening brain damage from a stroke. This same study also found that women’s death rates rose 32% more whilst on the drugs. Other documented side effects are much more prominent, but certainly no less detrimental to your health. These include those suicidal/homicidal thoughts mentioned earlier, as well as an increased risk of diabetes, an increased possibility of stillbirth, lowered immune system support and reduced bone density — resulting in a higher risk of fractures, primarily in the spinal column. There are also a few long-term risks with using these detrimental drugs: a conversion from unipolar depression to bipolar depression, and an overall cognitive decline in most users. If becoming bipolar unnecessarily does not steer you away from these, then the overall loss of your mental capacity should be enough to raise a warning flag. Use of antidepressant drugs has soared nearly 400% since 1988, making the medication the most frequently used by people ages 18-44, a report from the Centers for Disease Control and Prevention shows. “Unfortunately, some families are looking for a quick fix, but a pill is never going to get to the root of the problem,” says David Palmiter, a psychologist and author of Working Parents, Thriving Families: 10 Strategies That Make a Difference.